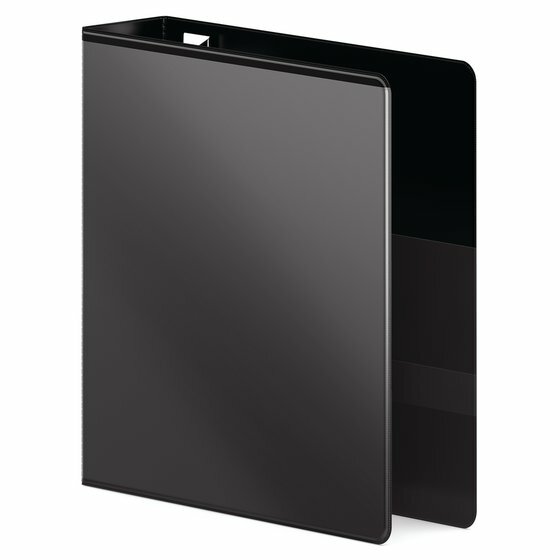 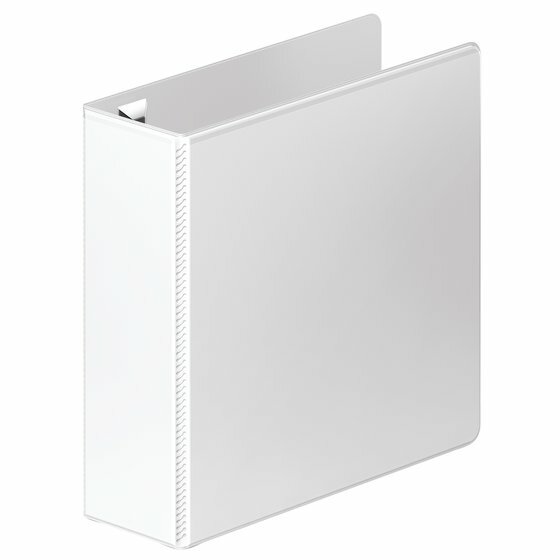 Wilson Jones - Binders - Select the Perfect Binder - Wilson Jones® Ultra Duty D-Ring View Binder with Extra Durable Hinge, 3"
Three inch binder holds 750 sheets. 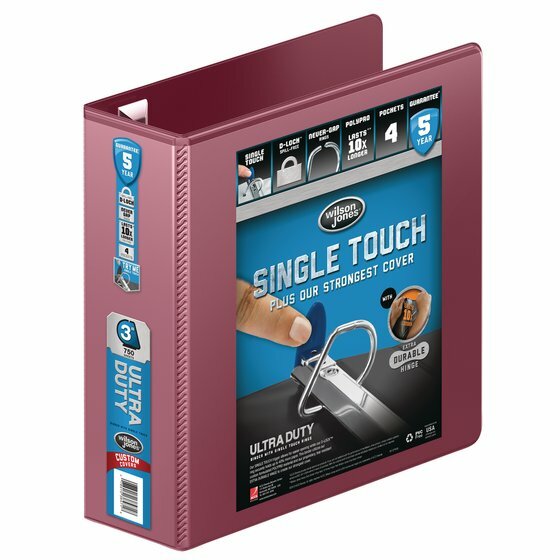 Get premium features, a higher sheet capacity, extra pockets and the best durability with Ultra Duty binders. 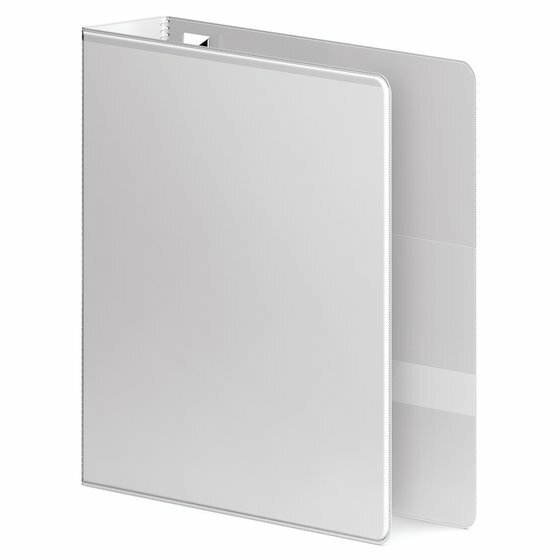 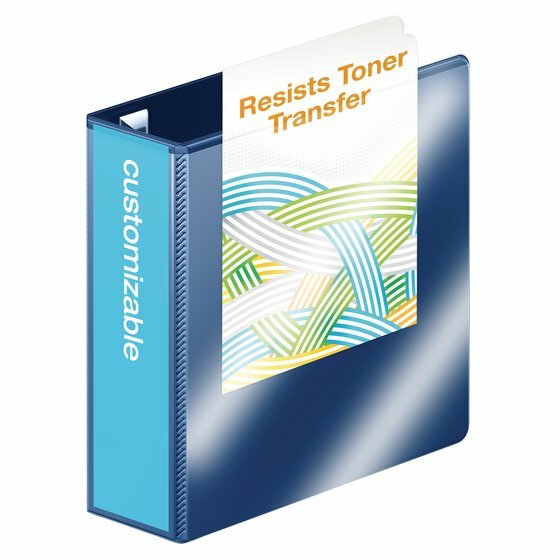 Plus, a crystal clear overlay on the spine and covers make it easy to personalize and label an Ultra Duty binder for grab-and-go use. 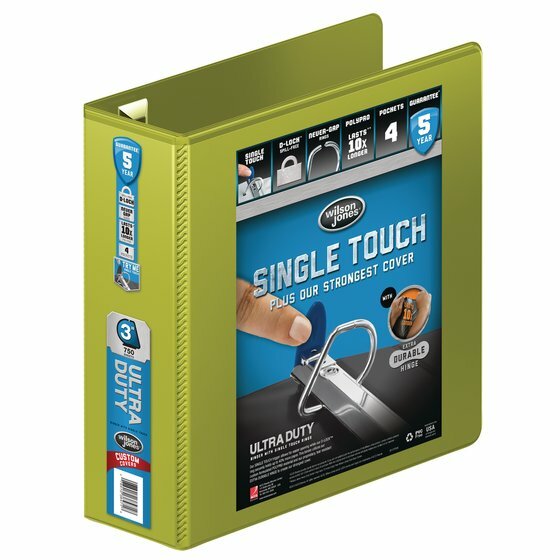 Ultra Duty combines our best ring with our strongest covers for unmatched ease of use and strength. 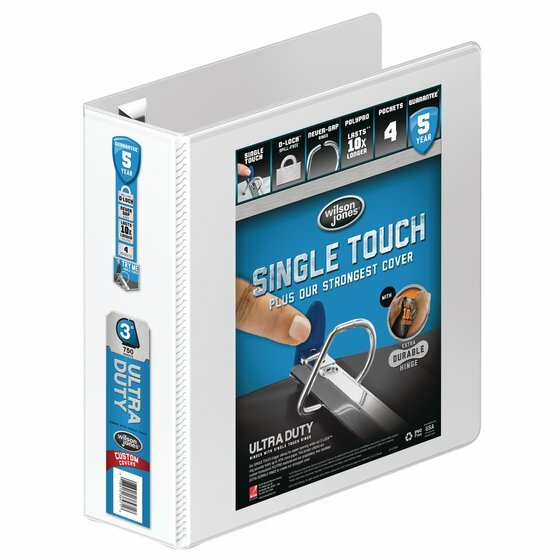 D-Lock™ rings with a Single-touch trigger keep papers secure yet are so easy to open that you can use just one finger. Ultra Duty covers are made from custom formulated PVC Free polypropylene which lasts up to 10X longer than vinyl and is more eco-friendly.